The first aid courses we provide at First Safety Training (Cambridge) are all recognised courses certified by our sponsoring body and approved by the HSE and the First Aid Council. They are designed to be engaging, fun and fully interactive and to cover all age groups and cultures. Candidates on our first aid courses will find the learning experience enjoyable, relaxing and informative and this allows them to dedicate their valuable time to practising the wide range of skills necessary to become a confident and competent "First Aider". 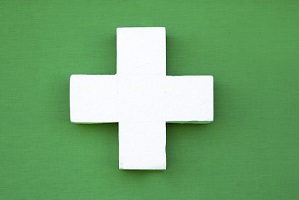 We deliver our first aid courses to a large spectrum of society, from girl guides to scouts, the military to the police, sports coaches and sports staff through to industry, large and small organisations, schools, childcare settings and care homes to name a few. We pride ourselves on our ability to be flexible in meeting the requirements of our clients and candidates. First aid courses can be run from our fixed training location or we can offer bespoke first aid training to suit you. If you wish to run courses from your own premises for logistical reasons or if the dates on offer don't suit the way your business runs please Contact Us with your requirements and we will endeavour to help. All first aid courses are supported with a full suite of modern training aids, booklets and material which is provided by us. This enhances and aids the learner's overall experience and encompasses the many learning and teaching techniques we employ. Our first aid courses are supported through our sponsoring body (NUCO) who ensure that we, as a training provider, are teaching the very latest protocols and disseminating the most up to date information to our clients. We look forward to seeing you on one of our courses and providing first aid training for you.